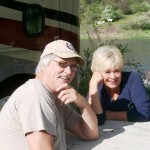 “I have been fortunate to travel for the last five years since retiring and have criss-crossed the country several times in my motorhome, staying at a lot of private campgrounds. 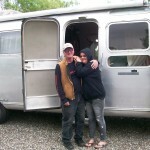 It has been a real treat to have discovered Swiftwater RV Park. Anna – the owner – manages the Park quite well and the ambiance here is terrific. What more can you ask for? Parking a motorhome by shady willow trees along the banks of the Salmon River, watching deer on the other side and hearing geese fly overhead.